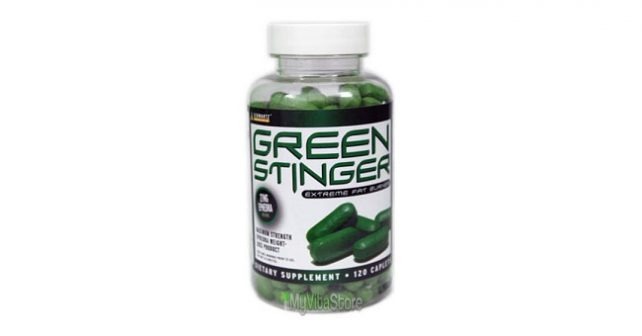 Green Stinger by Schwarz Labs Review – Does it work? Green Stinger by Schwarz Labs is a fat burning pill featuring an ECY stack and thermogenic compounds to increase energy and burn fat. Green Stinger raises concerns in some areas since Ephedra is banned by the FDA due to its adverse side effects. Ephedra is a plant which has been used in Chinese herbal medicine for centuries. Ephedra produces ephedrine, which is known to boost metabolism, enhance muscle mass, increase energy, burn fat, and suppress appetite. While all of these effects are certainly desirable for anyone who would want to lose fat, it’s important to remember that this is an FDA-banned substance for its side effects. Green Stinger uses ephedra in conjunction with caffeine to boost energy and overall performance. This combination is dangerous as it is effective in some cases. However, safety concerns should be prioritized over the effects of ephedrine and caffeine since it can lead to severe medical conditions, especially for people who’ve had cardiovascular problems in the past. Ephedrine, Caffeine, and Yohimbine are the three major ingredients of an ECY Stack. All three affect your cardiovascular system, which all of its effects are derived from. If you’ve had problems with your cardiovascular or respiratory system before, make sure that you get clearance from your physician before taking Green Stinger. The effects of an ECY Stack are hard to miss. As soon as the caffeine kicks in, users would take that as a sign that the supplement is working. In reality, that’s nothing more than drinking a big cup of java. From the reviews we’ve read, it’s a common occurrence for people who tried Green Stinger to experience palpitations and insomnia. Some experience a very sharp drop in energy due to the caffeine crash. The effects of caffeine can be felt in as quickly as 5 minutes after taking Green Stinger. Green Stinger is met generally positively by customers, but given that many other customers experienced side effects from a supplement that contains a banned ingredient, it’s best to approach taking Green Stinger with caution. The basic component of Green Stinger is its ECY Stack. Ephedrine is originally a treatment for asthma which constricts blood vessels and broadens the airways. Caffeine burns energy in your body, which is stored in fat. Caffeine also kicks your metabolism and your adrenaline into high gear, which causes palpitations. Yohimbine is a vasodilator with libido-boosting effects. The ECY Stack is potentially dangerous for many since it increases your heart rate and widens your blood vessels, which creates a superhighway of nutrients AND waste to your body. This causes strain to your internal organs, which may cause damage over time. It’s a good thing that Schwartz Labs has published the complete dosage and amount per serving of Green Stinger, so users can make an informed decision whether to buy Green Stinger or not. With just these six ingredients, we can point out three ingredients which are known to be dangerous – Ephedra, Acacia Rigidula, and Caffeine. Acacia Rigidula is known to be the “Meth Tree” with effects that mimic methamphetamine HCl. At the end of the day, it shouldn’t be a decision to weigh risks vs reward. There are a ton of other supplements that can help burn fat without the side effects that Green Stinger has. If you’re looking for a natural way to burn fat, check out Garcinia Cambogia (Garcinia X).